Here coms Tesla DB Mod 219W . 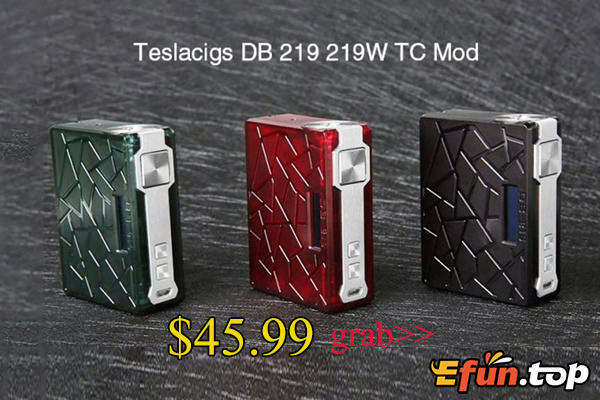 Tesla DB Mod is a high end regulated device with comfortable hand feeling and compact size. Powered by a dual 18650 batteries (not included), it can fire up to 219W max output which will create massive cloud. Constructed by PEI and has a scale-like finish, its cover is created in leaf texture and looks transparent in light. Tesla DB supports power mode and temperature control mode. The resistance range is 0.1 to 3ohm., which will offer you great flavor from the first puff to the last puff.